Drawing dismissals of prosecutions — rather than suffering the granting of prosecution continuance motions — is an art, as is so much of what is needed to obtain victory in court. As a Fairfax criminal lawyer, I know that most of the art of winning in court is not taught in law school. Winning in court relies on relevant experience, knowledge and intelligence, caring and compassion and empathy, killer instincts, martial skills, insight, attention, and constantly developing oneself as a person and lawyer. Part of being a criminal defense lawyer is sweating for hours on the road to victory, often only to learn on arrival in court that the prosecutor will be seeking a continuance due to an unavailable witness or other reason, or will be moving to dismiss the case. 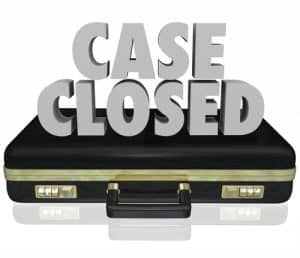 The motion to dismiss the case may or may not be a Trojan horse, so the defense lawyer needs to assess the extent to which the dismissal will not turn into a recharged case. If this will be a final dismissal, then all that defense trial preparation may well have contributed to the dismissal. Prosecutor continuance motions in District Court are all too common for reasons of asserted witness illness and non-subpoena of civilian witnesses. Granted, a common practice in some Virginia District Courts is to liberally allow either side to obtain an in-court continuance on the first trial date (but that is harder to obtain in such a court as Arlington County, other than for unrepresented defendants who have not had an arraignment). This is part one of a two-part article. The second and final part is here. Fairfax criminal lawyer Jonathan L. Katz since 1998 has successfully defended hundreds of people prosecuted in Virginia for alleged misdemeanor, felony and DWI/DUI offenses. Jon will be delighted to discuss your case with you, through a confidential consultation scheduled through his staff at 703-383-1100.